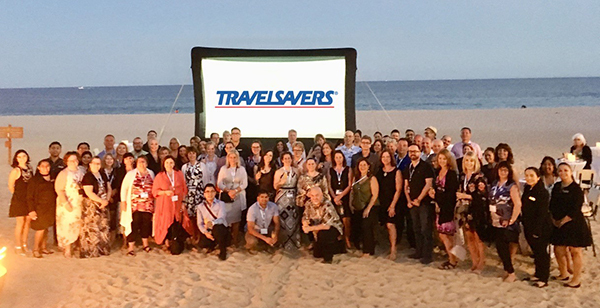 TRAVELSAVERS recently held its intensive three-day Canadian BootCamp event – the company’s signature, bi-annual training series – at Secrets Puerto Los Cabos Golf and Spa Resort in Los Cabos, Mexico. The event was attended by owners, managers and front line agents and featured intense training, hosted events, one-on-one prescheduled meetings and a trade show. “Like push-ups, squats and sit-ups, the foundation of Bootcamp is built on the basics and we assembled some of the best business development professionals in the industry to share what they know about growing smart, profitably and happily. This is about building habits — from understanding the TRAVELSAVERS tools in their toolbox to employing proven sales strategies that move the needle,” said Kathryn Mazza-Burney, executive vice president, sales, TRAVELSAVERS. New this year was the Genius Bar where attendees experienced live demos of TRAVELSAVERS OnlineXpress, tripXpress, cruiseXpress and Custom Solutions programs.